We all know that a budget is a good way to track our expenses and make sure we aren’t spending more than we earn, but the thing about budgeting is that it is boring! I can think of heaps of other things I’d rather be doing, but it is a necessary evil, so here is my minimalist pick-a-path guide to budgeting. There are plenty of free and paid budget planners on the web just waiting for you to crunch some numbers, so I’m not going to give you another one. If you want something to work with, then most banks will have one on their website and if you live in Australia, then here is a free budget planner as good as any other (your tax dollars helped make it). Now all of this is very nice and helps to give you perspective, but I don’t really enjoy spending my time pouring through spreadsheets. Once you get the hang of them, a budget should really be a once in a while, set and forget kind of thing. A bit like servicing your car, you get it done to make sure everything is running smoothly, then continue on your merry way. Here is how I work out my budget; I take all my bills and put them into a shoebox, once I have at least 3 months worth (6 months is better) I pull them back out again and plug them into a budget spreadsheet – this doesn’t mean you should wait 6 months before starting!. Your bills should cover a lot of the big and visible expenses like rent/mortgage, essential services (power, water, gas), insurance, credit card repayments, personal loans, investments etc. Now, before we go to the next step, how are you paid? weekly, fortnightly, monthly? This is important as I feel the best way to match your budget to your spending is to understand how much comes in and how much goes out every time you are paid. Whichever it is, you then need to dig a little deeper and look closely at your credit card and bank statements to work out your average spend for that period on things like food, petrol, car servicing, subscriptions, general spending, hobbies, gifts etc. Be careful not to short change yourself here as the budget needs to be realistic, you might like to only spend $100 on food per week, but if you are consistently spending $150, then that is what should go in your budget at this point. Remember also that you need to add the money you keep (long term for investments) and the money you save (shorter term for special occasions like holidays and emergencies). Is there anything you might have missed? 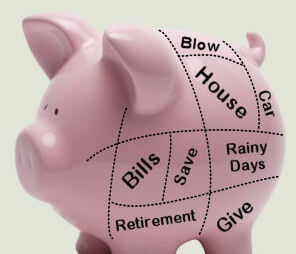 This is your budget remember and the idea is to capture all of your spending. If you are unsure whether you have got everything don’t worry too much you can refine it over time, but the more complete the initial picture, the better off you will be. Awesome! that means that you will have more money to keep each time you are paid that can be put to work for you. But don’t stop there, have a close look at your budget and see if you can find some places to tighten up on. Perhaps you are a bit generous with your pocket money, could you save a little there? Maybe your food bill is huge, are there some strategies you could use to cut down here? This fine tuning is entirely up to you. If you are covering all of your expenses and most of all keeping as much as you can, then keep up the good work and remember how good it feels the next time temptation comes along and attempts to take more money from you. You may like to read on or skip the next part and check out the helpful tools at the end. We have a problem! People that encounter this problem generally don’t save, the also have a rather full shoebox containing maxed out credit card statements, store cards and personal loans. These are very obvious problems (but they are often ignored anyway), the less obvious ones are how they got to this point – day to day spending. Do you spend a few dollars buying your lunch each day, perhaps you buy a coffee in the morning or undertake some retail therapy in your lunch break? You wouldn’t be alone, everywhere we go these days there are people trying to take your money from you (its called marketing). I’m not going to argue with you, I know it doesn’t seem fair, but you have the numbers in front of you and it is very simple really – you are living above your means. The sooner you accept this and decide to do something about it the better. Fortunately your budget is showing you exactly where all the money is going and where to start looking. I would suggest you start with your day to day spending and stop now! Now move on to money saving strategies, can you save on food by shopping smarter? Have you reviewed your loans and insurance lately? can you get a better deal somewhere else? Could you direct some of your excessive spending back into one of your loans or maxed out cards? Keep working on this until your expenses match your pay each period, then see if you can do more. Believe me, once you get on a roll you will feel better about it. I know that I said that budgeting is boring and it is, but there are some very clever people out there trying to make it a bit easier and more fun. I think that one of the best resources available at the moment would have to be mint.com. Unfortunately for me this has been developed for people living in America and I live in Australia, so I can’t really make the most of it. If you live in the US however, I suggest you give it a go as it is available for the very low price of FREE. Luckily, there are some similar tools available in Australia. If you live here, go check out ANZ Money Manager and BOQ My Budget. Both are free and you don’t need to be a customer to access these resources. If you know of any more, I’d love to hear about them too. Now go give your budget a service!